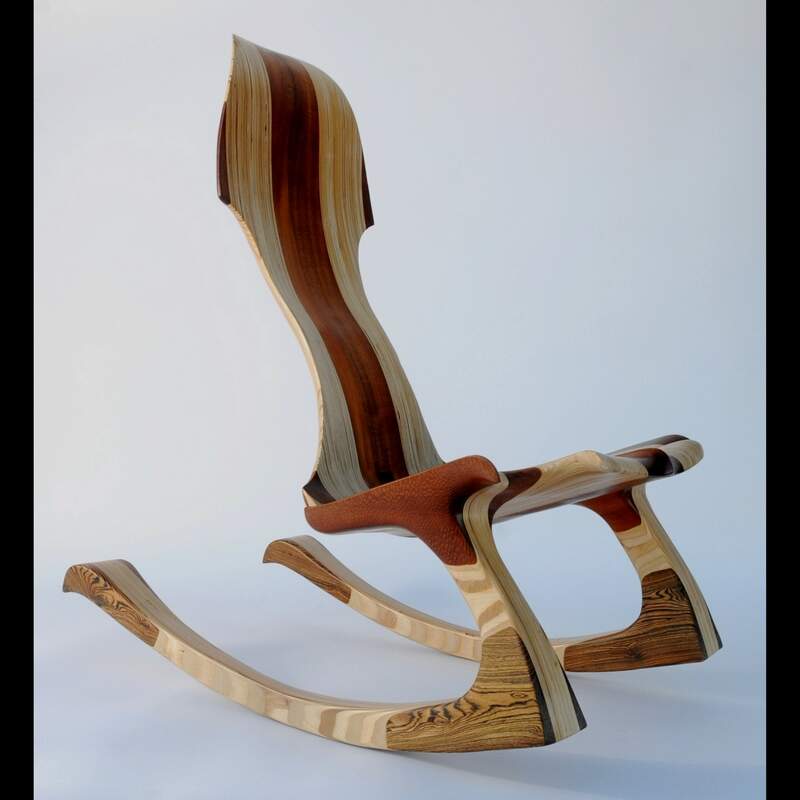 Items such as the fine woodworks of Kevin DesPlanques makes the Autumn Arts Festival more of an artisans showcase. As the weather cools and the summertime traffic slows, 80 artists from as far away as Montana will descend upon East Second Avenue, leaving no doubt that Durango truly is a destination for both artists and art lovers. The 18th annual Durango Autumn Arts Festival will be a casual and laid-back opportunity to meet new artists and enjoy original works. As in previous years, the festival will feature everything from painting and sculpture to fashion and furniture. We have a lot of artists who come quite a distance and have (come) back year after year, said Maureen May, a Durango Arts Center board member. The arts center sponsors the festival. Some of the returning artists include Lorna Meaden, Nancy Conrad and Esther Sullivan as well as last years award winners ceramicist Maggie Beyeler, buckle-maker Tracey Belt, bronze artist Kim Obrzut, metal kinetic artist Frederick Prescott and furniture-maker Kevin DesPlanques. This years jurors  Karyn Gabaldon, Joan Levine-Russell and Brian Maxwell  narrowed the potential vendors down from more than 145. Each artist was expected to present all handcrafted, original work  effectively banning mass-produced work from the festival. Though painters may have giclées available, they also must present original pieces. The result will be a vibrant and eclectic  yet not overwhelming  display of fine arts and crafts. The festival will span 2½ blocks with stages set up for live music each day. This years acts will include guitarist Pete Giuliani, singer-songwriter Jill Holly, Ashley Edwards and Jesse Ogle of Hello Dollface, and local jazz act PourquoiPas. Finally, the Creation Station, organized by Education coordinator Sandra Butler, will provide artistic activities for children both days. Last week, it was all about high fashion in New York City. This week, Durango will show its hand at couture with TOP, the third annual fashion design show. Featuring both local and out-of-state designers, TOP is yet another fun and creative fundraising event for the Durango Arts Center. Patrons will see three-piece suits, skirts, jewelry and even a ski jacket flouncing down the runway on models you might just recognize or even know. The shows organizers recruited local women of all ages to show off the original designs. Directed by Fort Lewis College theater professor Jane Gould, TOP features student designers from Bayfield Elementary School, Durango High School and Fort Lewis College as well as professional designers from as far as New York. Kelly Horrigan, whose designs have been seen on NBCs The Voice!, in The New York Times and on Bravo TV, has created what Hogan calls a sensational piece. Also featured is the designer of last years highest-selling piece, Barbara Ballanger, who created a vest and reversible jacket with embroidery. TOP will feature both a live and silent auction for the fundraiser. Half of the proceeds will go to the Arts Center to benefit annual costs of operation and maintenance while the designers will keep half. TOP initially was conceptualized by New Face Productions, a fundraising group dedicated to benefitting the Arts Center. The last two productions of the fashion show have helped fund the recent blown-glass exhibit HOT! as well as Textiles Today and other events at the Arts Center. Durango Autumn Arts Festival, 10 a.m.-6 p.m. Saturday and 10 a.m.-5 p.m. Sunday, East Second Ave. A silent auction featuring donated items from local businesses will be held 10 a.m.-4 p.m. Saturday. TOP fashion show and auction, 5:30 p.m. today, $50, Durango Arts Center, 802 East Second Ave.
For tickets and information for all events, call 259-2606 or visit www.durangoarts.org.